Update: It seems the downvoting of EA's statement, which has now grown to over 480,000, has gotten enough attention to warrant action. 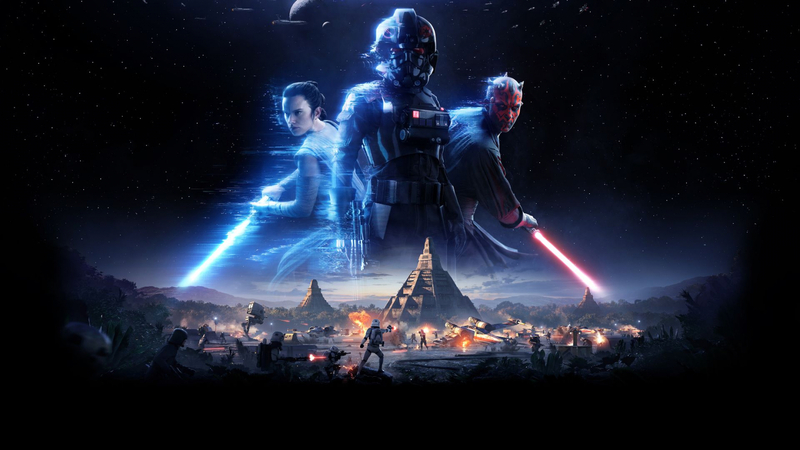 John Wasilczyk, Executive Producer at DICE, just posted an announcement to the official Battlefront 2 website stating that they would be reducing the costs of purchasing heroes by 75 percent. "Making games great comes from regular tuning. As one example, today we’re making a substantial change based on what we’ve seen during the Play First trial. There’s been a lot of discussion around the amount of in-game credits (and time) it takes to unlock some of our heroes, especially Luke Skywalker and Darth Vader. Unlocking a hero is a great accomplishment in the game, something we want players to have fun earning. We used data from the beta to help set those levels, but it’s clear that more changes were needed. So, we’re reducing the amount of credits needed to unlock the top heroes by 75%. Luke Skywalker and Darth Vader will now be available for 15,000 credits; Emperor Palpatine, Chewbacca, and Leia Organa for 10,000 credits; and Iden at 5,000 credits. Based on what we’ve seen in the trial, this amount will make earning these heroes an achievement, but one that will be accessible for all players. It's a big change, and it’s one we can make quickly. It will be live today, with an update that is getting loaded into the game." This reduction brings the real money values down to about $20, $10 and $5, respectively. Wasilczyk acknowledged the "feedback" from Reddit over the last 24 hours and promised to continue listening. He said that several team leads would be hosting a Reddit AMA starting on Wednesday. "The team is fully committed to listening to our community, continually adjusting the game, and providing even more great Star Wars content over the upcoming months and years of live service updates. More to come." Electronic Arts’ decision to implement loot boxes in Battlefront 2 has been controversial, and that's putting it lightly. In fact, after the beta was released, players discovered play-to-win elements were incorporated into the loot box system in the form of Star Cards. Even though EA has tweaked this aspect since the backlash, players on Reddit are still complaining about paywalled features of the game. After several Redditors commented on the tremendous amount of time it takes to unlock Darth Vader (and other heroes), another user pointed out that the powerful character could be accessed earlier if you are willing to spend another $80 on the game. Of course, this stirred up the fires of controversy even further. EA responded to the criticism with the following statement. Initial replies to the comment were fierce and it got to the point that mods eventually locked the thread due to “harassing and spamming.” However, this did not stop displeased users from voting on the statement. As of this writing, the comment has received over 390,000 downvotes. That number completely shatters the previous record for most downvoted comment held by 96Phoenix at -24,023. Another Redditor has been tracking the loss in revenue for EA using the formula, “downvote total x $60 (cost of the game)” and as of his last update, has the total sitting at $20,724,900. Although, this is by no means accurate when you take into account that some users may be voting from multiple accounts and not all were planning on buying the game. It also doesn't consider microtransactions. Still, EA’s plan to instill “a sense of pride and accomplishment” in players has been unequivocally rejected both in the comments before the locking of the thread and in the volume of downvotes it has received. It will be interesting to see how EA responds to it all.